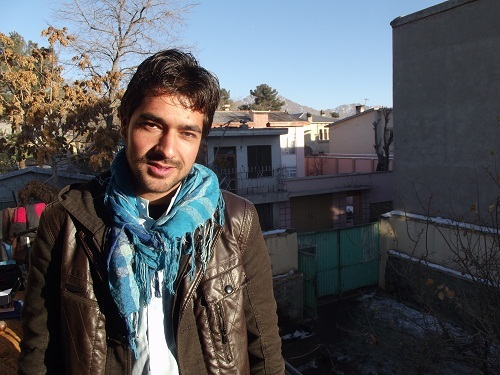 Raz Mohammad : Salam ‘aleikum. I am Raz Mohammad. I’m from Maidan Wardak province and I’m Pashtun. 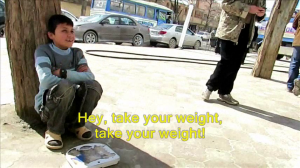 Kathy Kelly : Raz Mohmmad, what do you think about drones? Raz Mohammad : I think drones are not good. 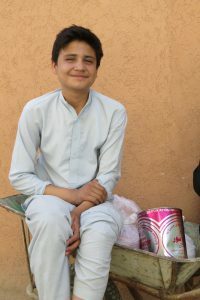 I remember how, in my village, a drone attack killed my brother-in-law and four of his friends. It was truly sad. A beautiful life was buried and the sound of crying and sorrow arose from peaceful homes. I say that this is inhumane. Today, the idea of humanity has been forgotten. Why do we spend money like this? Why don’t we use an alternative way? The international community says that drones are used to kill the Taliban. This is not true. We should see the truth. Today, it’s hard to find the truth and no one listens to the people. Kathy Kelly : How have drones impacted Wardak Afghanistan? Raz Mohammad : Drones have a negative impact on the lives of the people of Wardak and other provinces in Afghanistan, because drones don’t bring peace. They kill human beings. Drones bring nothing but bombs. They burn the lives of the people. People can’t move around freely. In the nights, people are afraid. Drones don’t improve people’s lives, they limit the people’s lives. The people are not happy with drones. 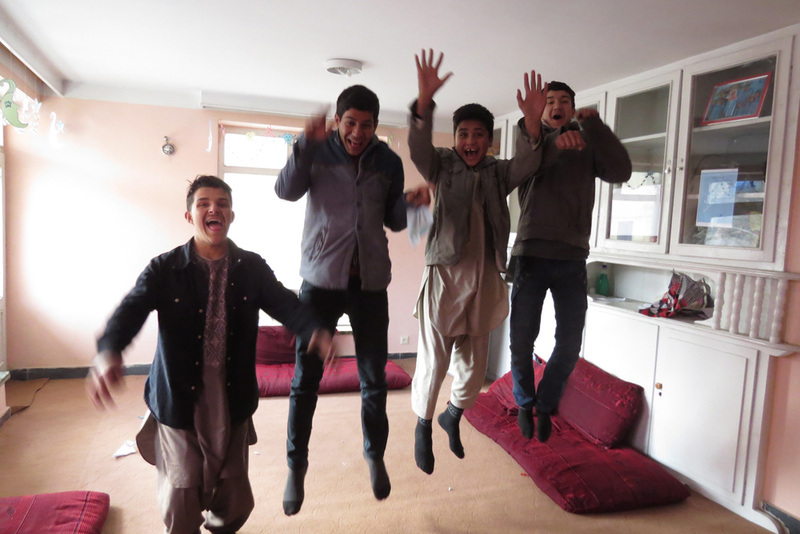 When they hear the sound of drones, they feel sad. 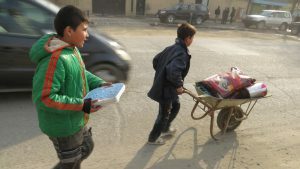 Those who live in Kabul and those who live in the provinces especially in Pashtun areas feel differently about drones. 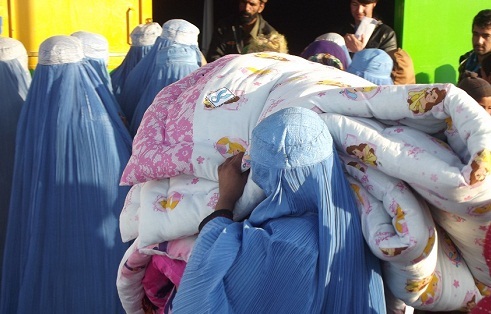 Those in Kabul don’t feel the pain of those in the provinces where there’s war and family members are being killed. It is those families of victims who should be asked and whose voices should be heard. Kathy Kelly : Are drones making Afghanistan safer? Raz Mohammad : No. Drones don’t protect the people of Afghanistan. Instead, drones kill the people of Afghanistan. You hear in the news and reports that every day, families, children and women are killed. Do you call this safety? 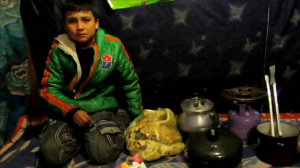 Kathy Kelly : Is there a mental impact on Afghans from the presence of drones? Raz Mohammad : Yes, drones have a negative impact on the mind. For me, when I go home, I recall the incident with my brother-in-law which affected me a lot and changed my life. I don’t have a peaceful mind. When I’m home and study at night, my father & mother are very worried and tell me not to stay up too late because they may make a mistake and bomb the house. When my younger brother knows of a drone incident, he says he won’t go to school or get out of bed early today because the drones may come. See, how it affects the mind of a 5 or 8 year old child. Kathy Kelly : What do you think about the use of drones after the 2014 withdrawal? Raz Mohammad : I think that the use of drones today or in 2014 is inappropriate. Why has the international community sent drones to wage war in Afghanistan? Why have we forgotten the concepts of humanity and the love of humanity? War is not a solution. We can see this from the past 30 years of war in Afghanistan. Wars bring killing and enmity. Drones after 2014 will cause enmity between Pashtuns, Tajiks and Hazaras because those in government use the people for their own benefit. For their own power and lives, they drop bombs on the people, and bring division and inhumanity. As I see it now and after 2014, innocent human beings will be killed. 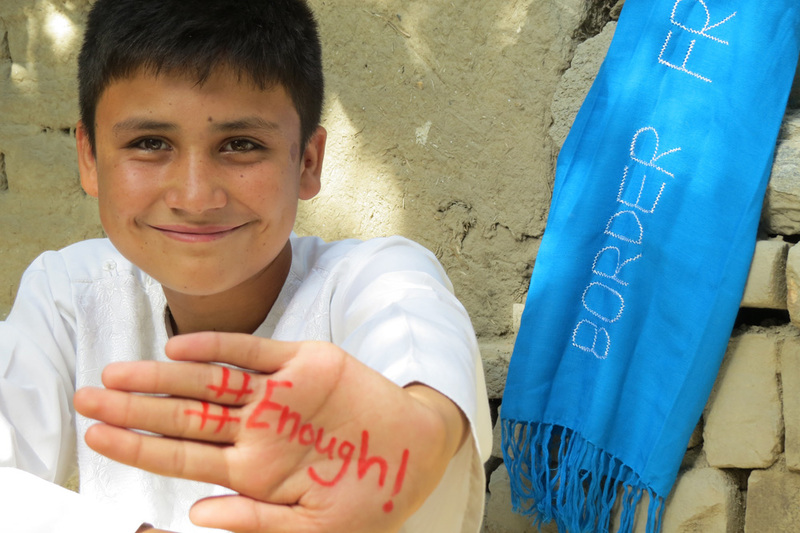 Kathy Kelly : Do you have any other message to give? Raz Mohammad : My message to the ordinary people of the world is to listen, and become aware of drone warfare because what international governments say about using drones to kill terrorists is not true. Friends who come here can see that innocent people and women are killed. We should listen to the voices of Afghans and promote and defend humanity and humane relations. My message to the governments of the world is : Why have you forgotten humanity and the love of humanity? You are killing human beings for your own monetary benefit. I demand that this ( drone warfare ) be stopped, especially the spending of so much money on drones in Afghanistan and the killing of so many innocent people. Isn’t it appropriate for you to help the people in alternative ways? We are human beings and are always your friends, thank you. 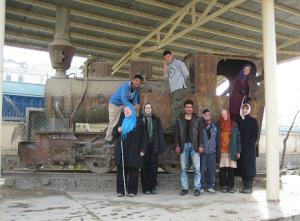 We, the Voices for Creative Nonviolence UK delegation, have now returned from Afghanistan. 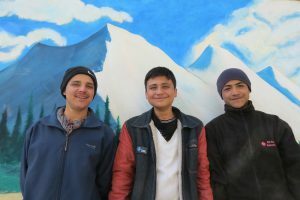 We spent two weeks in Kabul as guests of the Afghan Peace Volunteers. 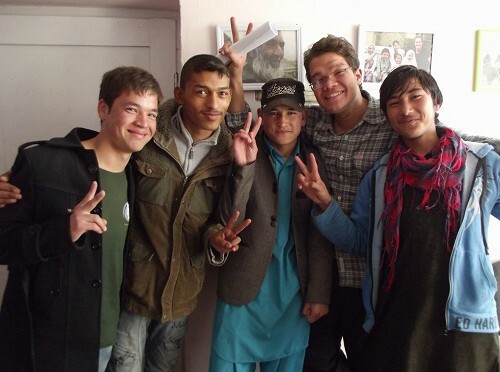 The community relocated to Kabul and has worked closely with Voices for Creative Nonviolence over the past few years. The dream of the community is to form a multi ethnic group, committed to nonviolence and work among the poor of their neighbourhood. To say that the APV has a vision of being a multi ethnic community does not give the full picture of the task they have set themselves. 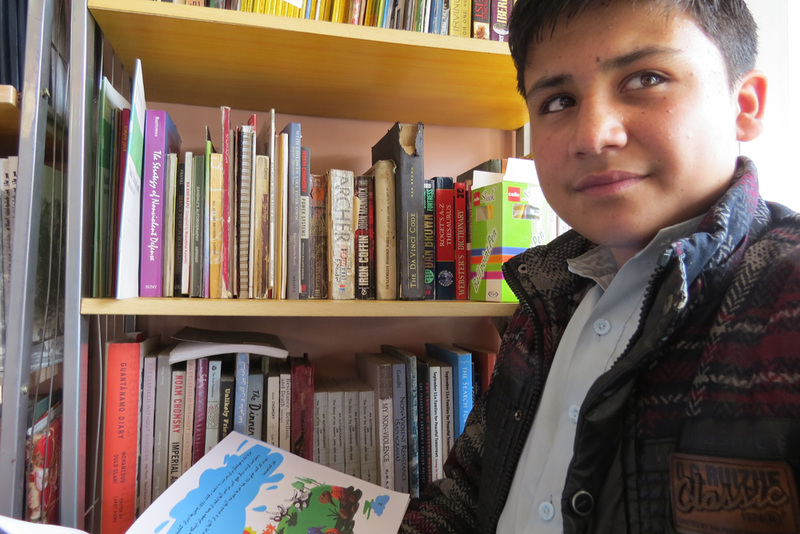 Ethnic divisions in Afghanistan go deep into a painful and violent history. 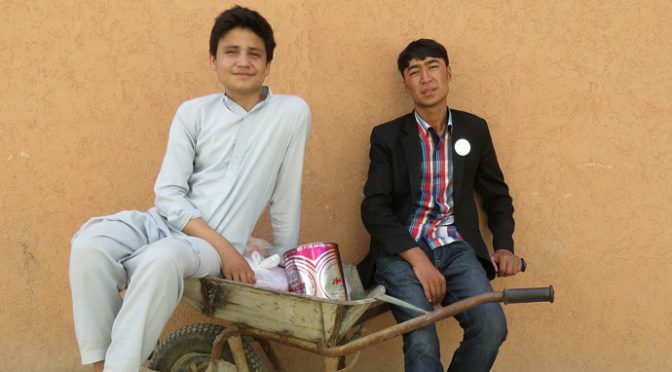 The community is mainly Hazara but there is a Pashtun and a Tajik among the group. It is a privilege to be part of their sincere desire to heal old wounds and build a society for the future of Afghanistan, free from ethnic chains. 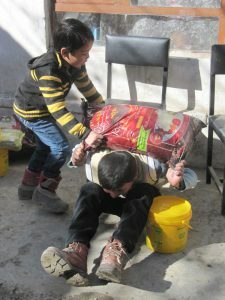 Their task is not an easy one and they don’t seem to be under the illusion that it is. The community and the country has a long struggle ahead to build a peaceful Afghanistan. Spending time with these young men gives one the feeling that it is possible and that a commitment to nonviolence holds the key. 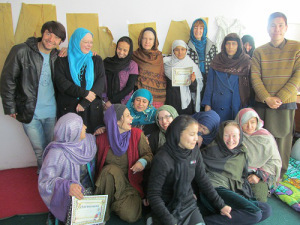 On our arrival in Kabul after a long but uneventful journey, we were met by community members and taken to their home. 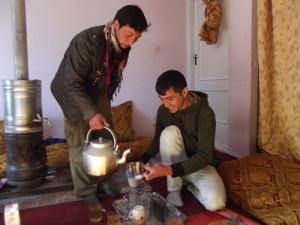 We shared their living space for two weeks and were given typical Afghan hospitality. The four of us and later two friends from the US, Kathy Kelly and Martha Hennessy, slept on cushions in the main living area where, during the day we had meals, English lessons, discussions and meetings. Kathy is the founder and co-ordinator of Voices and Martha is part of the New York Catholic Worker community. She is also the granddaughter of Dorothy Day who co-founded the Catholic Worker movement. Through its connection with Voices the APV have played host to several delegations of international visitors over the past year or so. from practicalities of daily communal living to deep philosophical reflections on the nature of nonviolence and its implications in a country reeling and bowed down by thirty years of war and conflict. The APV as a community are involved in the life of their neighbourhood. The house has a constant stream of visitors, young and old and all receive a warm welcome. 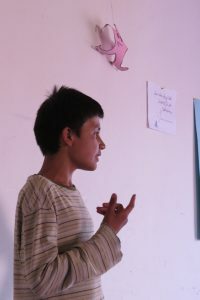 Each morning there is an English class, attended by some of the APV and other local young people, both boys and girls. Hakim conducts the class and often emphasises that the reason for learning a language is to communicate. 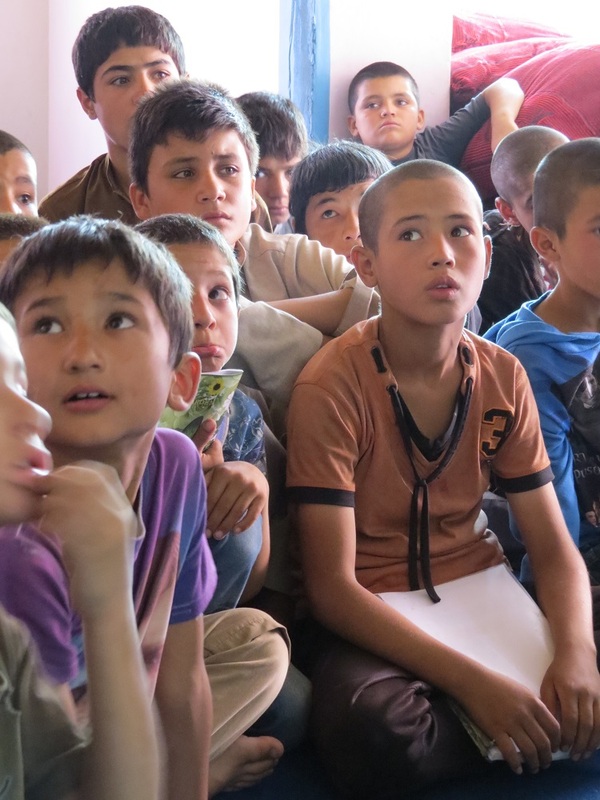 During the lessons, which some of us attended, there was often a sharing of ideas and feelings about the future of Afghanistan and the aspirations of the students. It was very moving to be present as these thoughtful young people expressed their hopes and fears and also posed searching questions to us about our role in the future of their country. In the afternooons the APV themselves, along with other volunteer teachers, hold classes for local children, teaching Dari and maths. The community is also home to a sewing project for women. 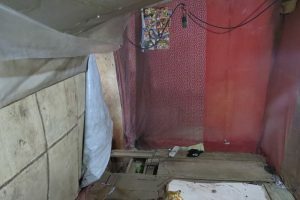 At present this project focuses on making duvets for poor local families as the bitter cold of winter approaches. Financial help from Voices means that women can earn money by sewing the duvets, either at home or on the APV premises. The sharing out of the materials to be made up into the completed products is carried out by the young men of the community. The duvets are then distributed by the APV. There is a video clip on the website showing the most recent distribution on 21 December. 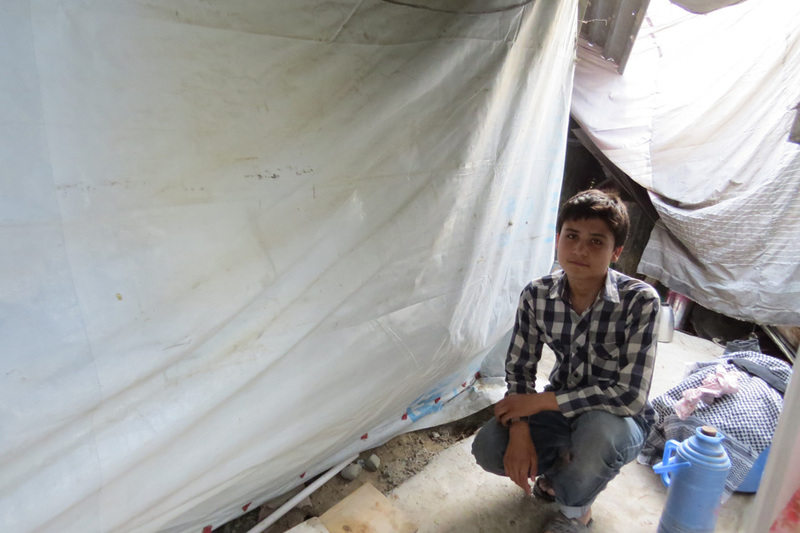 Other duvets were also given to a nearby refugee camp during our stay. As we’ll as living community life and working on these projects, some of the community members attend school or university. 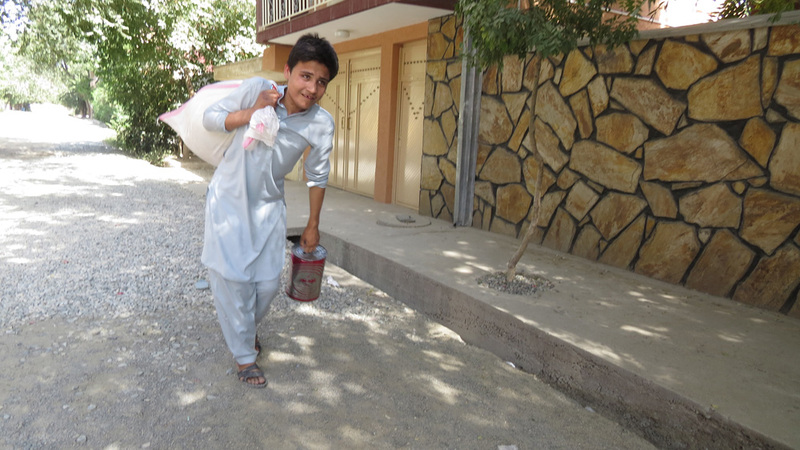 The overall atmosphere of the community is of generous hospitality, cheerful enthusiasm, hard work in difficult conditions and, above all, a belief that they are living out a model of the society they wish to see for a future Afghanistan. This model has at its heart a true desire for people of all ethnicities to live together and to work together for a better life for the poorest and most vulnerable. These young men really do think globally and act locally.